The year 2009 brought the 70th anniversary of the first publication of The Way by the founder of Opus Dei, who was a 37-year-old priest in Madrid when the book appeared. Since then this spiritual classic has gone into numerous translations and sold nearly 5 million copies worldwide. Read by popes, priests, mothers and fathers, students, and working men and women around the world, its contents reflect the unique pastoral experiences and spiritual insights of its author, St. Josemaria Escriva. 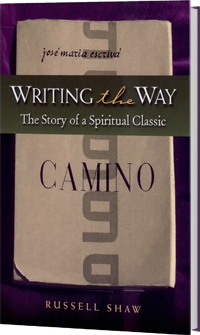 In Writing "The Way", Russell Shaw provides dramatic background information about the composition of this book in the difficult years before and during the civil war in Spain as well as important theological and ascetical interpretations from a variety of sources. It is a valuable help to the reader seeking to understand The Way better and apply its contents in his or her own life.